The local radio scene in Champaign-Urbana has a lot of information regarding the Fighting Illini, and with good reason. The main AM station is the flagship of the Illini Sports Network, and offers some good coverage of Illini sports of all kinds. While listening to the elder statesmen of the scene, Jim Turpin and Loren Tate one morning, they happened on to a topic that I couldn't agree more with; the fact that it seems to be basketball season all year round, or at least the main topic for sports talk radio. Even in the fall, when football season is upon us and Ron Zook's squad should reign supreme, for some reason people still want to talk about basketball. Maybe it has something to do with the way the respective sports have fared over the past few seasons, with the basketball team enjoying modest success, while the football team has not endured much success, except for a bowl appearance here and there. Basketball talk seems to be more interesting for people, what with recruiting issues, coaching banter, and potential NBA Draft picks, there is a lot to talk about. Normally, with football recruiting, that is centered around a certain time of the calendar year, while basketball recruiting seems to be more widespread. 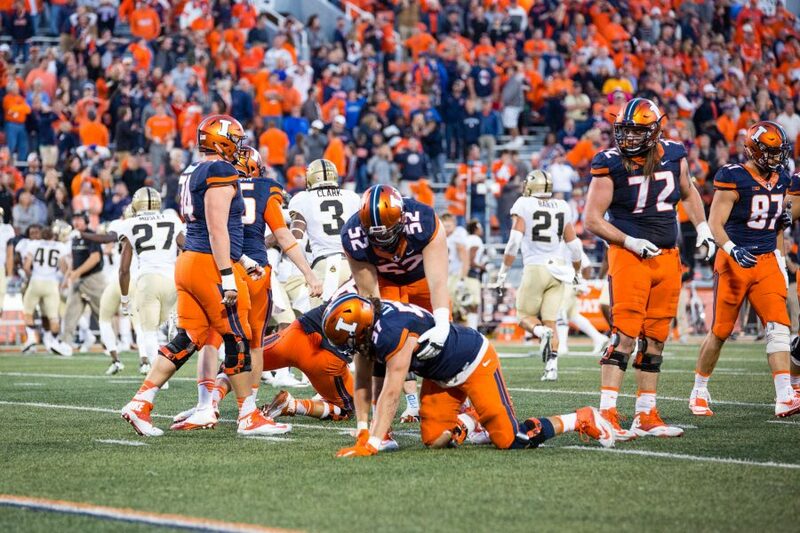 Over the past few seasons, the Illini have missed out on most of the top recruits in the state of Illinois, and as a result, they have gone elsewhere to play their college ball. It seems like Illinois just cannot land that premiere player, although that trend might be changing just a bit. Jereme Richmond, who is one of the top players in the state, has been committed to the Illini since he was a freshman in high school. Richmond is set to enter Illinois this summer, bringing full circle a recuiting saga that has lasted well over 4 years. Two other incoming players , Meyers Leonard and Crandall Head, have not been on the radar nearly as long. Leonard was virutally unknown until his junior year, when he began to blossom into the player that he has become. He is now rated as one of the top 20 players to come out of the class of 2010, which is an added benefit to Coach Bruce Weber and his coaching staff. Head, the younger brother of former Illini Luther Head, has been heralded as a potential star, but injuries have limited his play over the past year, so he is a wait-and-see type of player that very well may be a redshirt candidate when he enrolls at Illinois later this year. Football recruiting, on the other hand, has taken a serious hit over the past season. With the coaching staff shuffle on the football side of things taking place, some recruits that were all but signed, sealed and delivered, are no longer in the mix. This has given a sense of pessimism to the outlook for 2010, and people just don't seem to want to talk about most of the players that are in this incoming class. I talked about not being impressed at the Illini's spring football game for the players that are coming back, and really cannot see how most of these recruits will do anything to give the Illini any reasonable chance at attaining a bowl bid for this season, something that may save Ron Zook's job. Hopefully I am wrong about this feeling, but for now, that is the way I see it. Back to basketball again, the Illini's chances to make a serious run for Houston in 2o11 got stronger on Saturday, when both Demetri McCamey and Mike Davis pulled their names out of the NBA Draft and will return to school for their senior seasons. McCamey, who would have remained in the draft if he was guaranteed a first round pick, didn't feel that it was likely to happen, and will attempt to elevate his stock by finishing out his career as an Illini. Davis, who more than likely was just testing the waters by exploring the NBA, probably didn't have that good of a chance to be drafted high, and will more than likely benefit from another year in the college ranks. A deep run is a possibility for the Illini if everything holds together, and with playing time limited for some, it remains to be seen if there will be any other transfers before the start of the season. We know that Stan Simpson is already gone, and Richard Semrau is not returning to max out his eligibility either, but with an influx of guards on this Illini team next season, one wonders what the future holds for a guy like Jeff Jordan. With Joseph Bertrand in the mix for next season, it really limits the field at that position. I guess we will just have to wait and see how this plays out over the summer. Yet another example of basketball talk reigning supreme. Finally, to close this installment of the Illini Guy Report with a quick recap on the baseball and softball teams, two squads apparently going in different directions. The baseball team took 2 of 3 from Ohio State over the weekend in Columbus, and find themselves at 23-22 overall, yet just 8-10 in the Big Ten. They will host Purdue this coming weekend at Illinois Field for a three game set starting Friday evening. The games on Friday and Saturday will begin at 6:05 pm, while the series finale on Sunday is slated to start at 1:05. The softball team is enjoying their best season in school history, and despite a 3-2 loss to DePaul last Wednesday, are 39-6 overall and 12-2 in conference play. They will close the regular season at home this week against Purdue on Wednesday for a doubleheader, then single games this weekend on Friday and Saturday against Minnesota. There is still a good chance that the Illini will host either a first and second round matchup, or even a super regional. Stay tuned.